In 4Q17 the total SBC market was up 4% sequentially and was even compared to 4Q16. As the service provider (SP) component fell 8%, which was partially offset by an 11% rise in E-SBC sales. During the quarter, the SP market was impacted by seasonal factors in Asia Pacific as well as slower than expected uptake of VoLTE roaming and interconnect services. We expect that these factors will reverse during the course of 2018 and that the total service provider SBC market will rise 23% for the year. 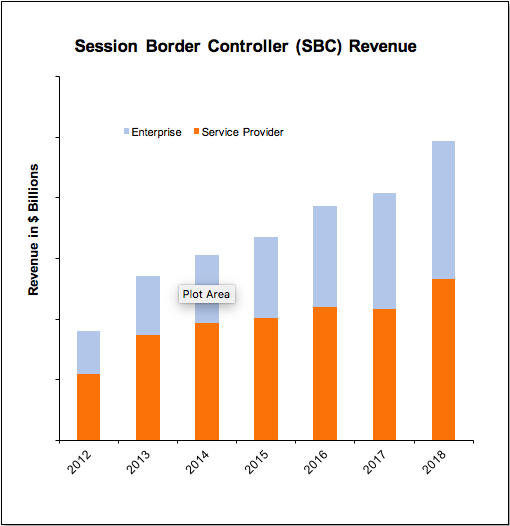 The E-SBC market continues to be fueled by SIP trunking and hosted UC services and we expect 19% growth in 2018.